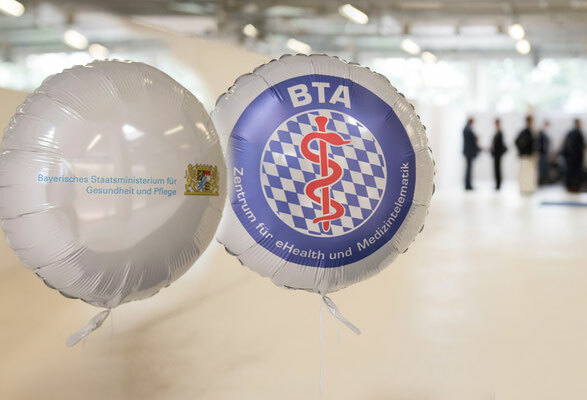 At the end of June, the Bayrischer Tag der Telemedizin (Bavarian Telemedicine Day) was held for the sixth time at “MTC – House of Fashion” in Munich. This year’s motto was “Grenzen überwinden durch Telemedizin” (Crossing boundaries through telemedicine). Around 700 participants came together in Munich to discuss the latest legislation, news, and trends in healthcare. The conference agenda was packed with exciting forums all morning and afternoon; attendees also visited an extensive exhibit, where they learned about new and established telemedical projects. 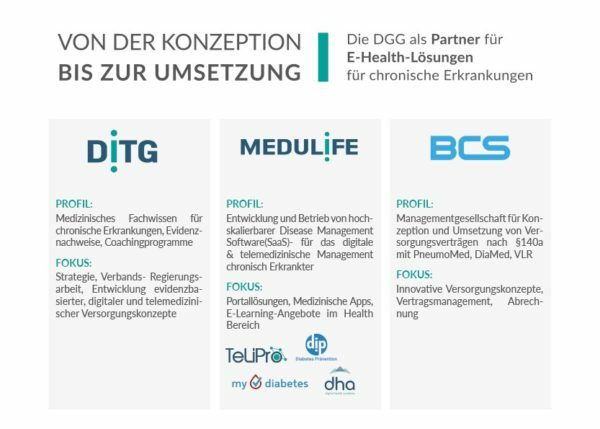 The German Institute for Telemedicine and Health Promotion, (DITG), a familiar name to many in the healthcare sector, introduced itself to attendees as a member of the newly founded consortium Digital Health Group (DGG) for the first time, alongside its affiliates MEDULIFE and best care solutions (bcs). 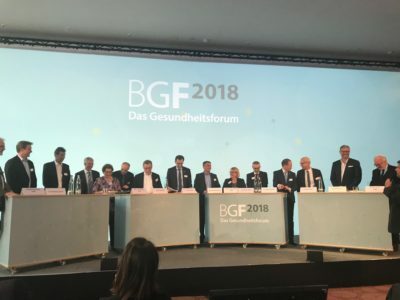 This announcement initially caused some minor confusion, but after a brief explanation, everyone understood: the DGG develops and operates digital, scalable disease management programs with evidence-based curative outcomes for patients with chronic illnesses. The three companies divide the work of providing comprehensive e-health solutions, from development to implementation, among themselves – each company focuses on its respective area of expertise (see illustration). DITG employees Janine Berger and Nicole Gebhardt, who managed the DITG booth at the event, hardly had time to catch their breath – they were swamped with interested visitors. Start-ups, statutory health insurance funds, universities, and independent e-health experts wanted to learn more about specific projects. Young entrepreneurs asked about possible integration and access to statutory health insurance funds, as the DITG’s portfolio already includes special applications for diabetes, obesity, COPD/asthma, etc. Innovation and care managers from statutory health insurance funds were looking for sensible new programs that reduce costs and have already proven successful. Most university employees who visited the booth were working on research projects and were interested in partnerships with the DGG – to work on an algorithm-based recipe database for patients, for instance. 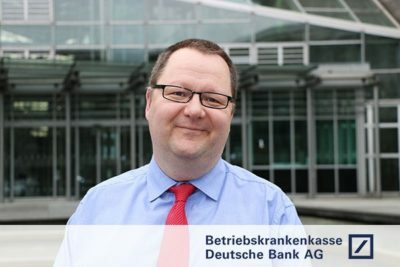 Prof. Volker Amelung, Chairman of the German Managed Care Association in Berlin, presented the second innovation fund, valued at 75 million euros. He explained that these funds are not intended for new investments; rather, they are meant to help integrate projects into standard care. The DITG’s telemedical lifestyle intervention program for patients with type 2 diabetes (TeLiPro) is supported by the innovation fund. A patient-focused, telephone-based health coaching service is the heart of the program, which the DITG is implementing in partnership with AOK Rheinland/Hamburg – the leader of the consortium – and the North Rhine Association of Statutory Health Insurance Physicians (KVNO). The project receives scientific support from the German Diabetes Center (DDZ) and the Institut für angewandte Versorgungsforschung (Institute for Applied Health Services Research, inav). The benefits of the program (both medical and behavioral parameters) and its cost-effectiveness will be evaluated in a randomized, controlled study with approximately 2,000 participants.